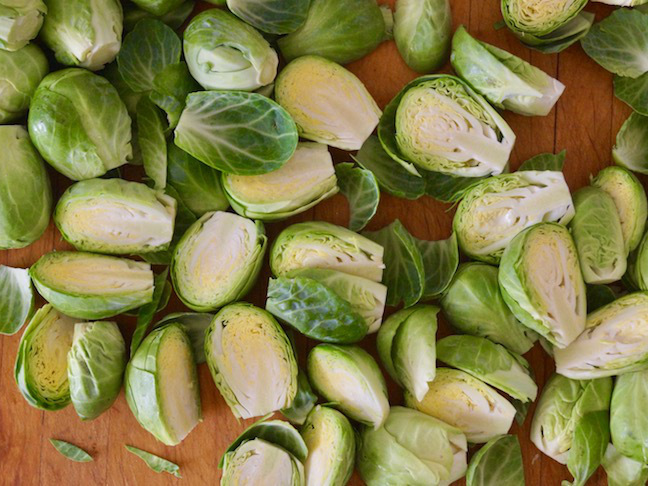 I don’t have any memories of eating Brussels sprouts when I was a kid because nobody ever made them in my house. I don’t think they were really a thing then. But as I have gotten older, they have become more popular and I have grown to really enjoy them. 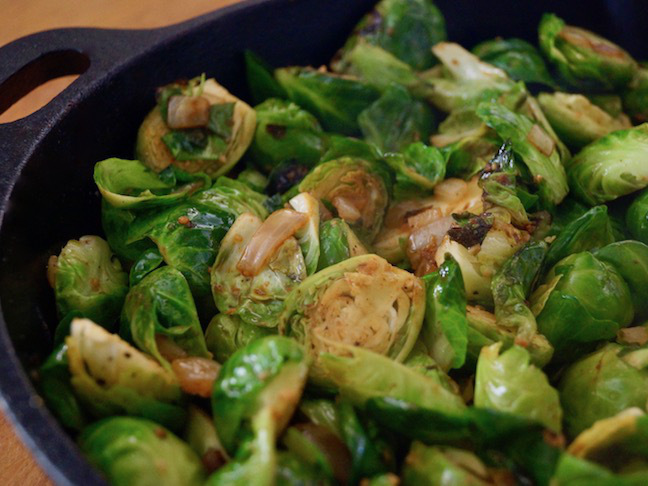 I’m pretty sure I was first introduced to them as a roasted or sautéed dish but since then I have seen Brussels sprouts prepared in many different variations. 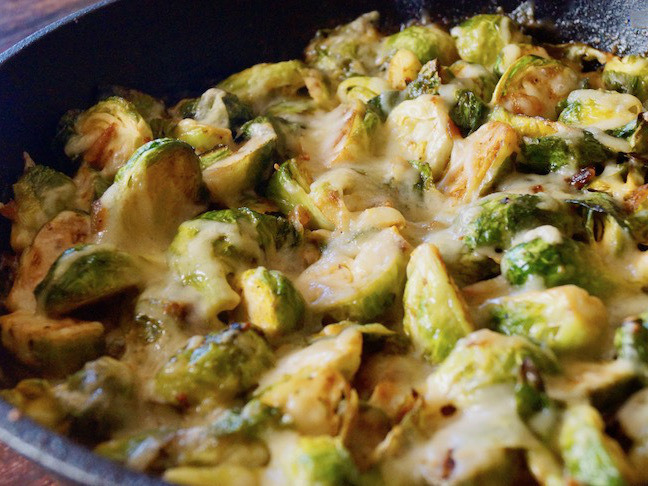 If you like Brussels sprouts, you will love this cheesy baked Brussels sprouts recipe. And if you think you don’t like them — or if your kids think they don’t like them — this recipe will very likely change your mind and theirs! This comforting cheesy baked Brussels sprouts side dish has a touch of spice, a splash of cream, and just the right amount of delicious nutty-buttery cheeses to turn Brussels sprouts into a huge hit for the whole family. And all in just 30 minutes! Step 1: Preheat the oven to 400 degrees F, and place a rack in the center of your oven. Step 2: Coat the bottom of an oven-safe, large sauté pan (about 12-inch) with olive oil and place it over medium heat. Add the onion and garlic and cook, stirring from time to time, until soft and golden, about 5 minutes. 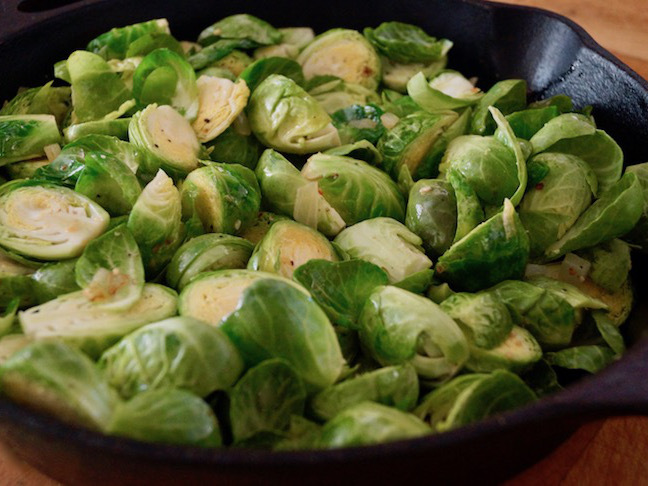 Step 3: Add the Brussels sprouts to the pan and stir. Step 4: Stirring often, cook until tender and golden, about 7 minutes. Add the chili powder, salt and pepper, and stir. 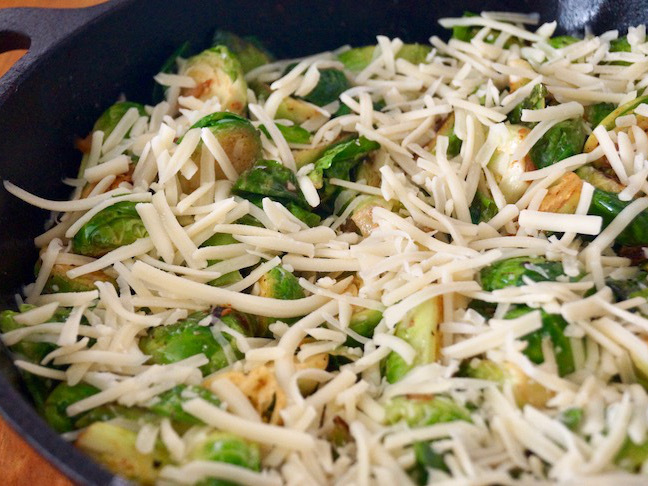 Step 5: Pour the cream evenly over the Brussels sprouts and then mix the two cheeses together and sprinkle them over the top. Step 6: Place the pan in the preheated 400 degree F oven and bake for 10 minutes. Remove from the oven and serve.